The IPL is just about to kick off its 12th season within a few days, with the eight teams battling against each other to win the biggest T20 tournament in the world. The teams are gearing up for their last and final compositions that will feature in this T20 spectacle. This year also marks the return of the two Aussie stalwarts - David Warner and Steve Smith, who were suspended by Cricket Australia in 2018 after the infamous Sandpaper Gate scandal. The IPL Governing Committee also banned both the players from participating in the tournament that year. 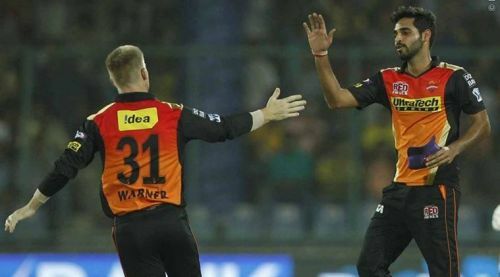 This led to a change in the team composition of both the teams, Sunrisers Hyderabad and Rajasthan Royals, as both the players were going to captain their respective sides. The Sunrisers were, however, the least affected amongst the two as they found a talismanic leader in Kane Williamson, who not only lead his side to the finals of IPL 2018 but also was the leading run-scorer and eventually went on to win the Orange Cap. After a ban of one year, the Sunrisers are ready to welcome Warner back to their side with the same excitement and enthusiasm. 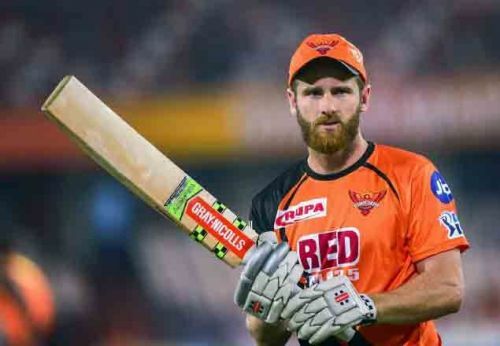 Since Williamson has been injured in the ongoing series against Bangladesh and Warner has just returned from a big controversy, it will be interesting to see how who would captain the Sunrisers till Williamson returns. The first and the obvious option for the captaincy will be Warner as he has been phenomenal for the Sunrisers in the past few seasons. He made the Sunrisers a team to reckon with in the IPL. Under his reign, the Sunrisers had some of their best periods, which includes winning the tournament in 2016 and qualifying for the playoffs in 2017. He has also been their leading run-scorer and was the winner of the coveted Orange Cap in 2017. The second option would be a surprising one, with Bhuvneshwar Kumar. Bhuvi was the vice-captain for SRH in the last season. He has a good cricketing mind to handle himself and the side in tough situations. Till the return of Williamson, he can be one of the options for the Sunrisers to lead their side in the initial stages of the tournament. As IPL 2019 is set to roll on in a few days' time, the Sunrisers think tank will be deciding as to who will lead their side. Warner, however, could be the first and obvious choice for captaining the side but will be leaving the tournament mid-way to join the national side in the latter half of the tournament. Therefore, in the absence of Warner and if there's any further unavailability of Williamson, Bhuvi should be the option for SRH to lead them. Hence, it will be a good idea to groom him in the initial stages of the tournament along with the experience of Warner, so that he is ready for any given challenge in future.